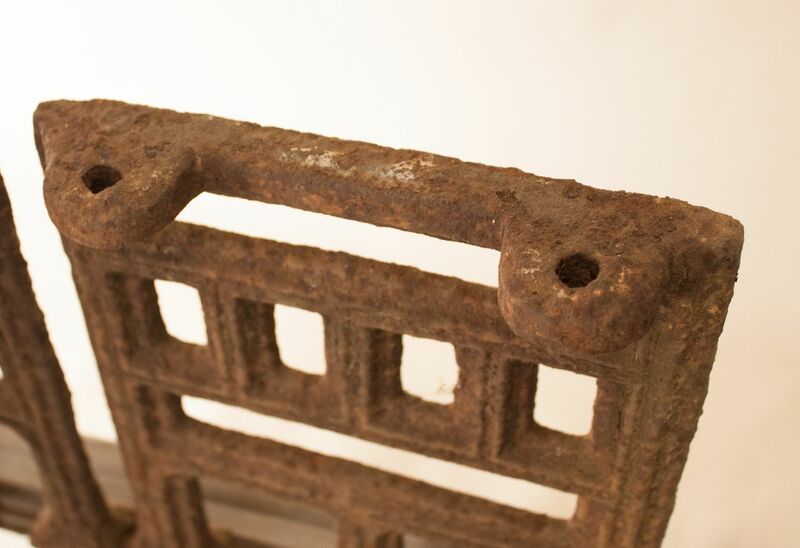 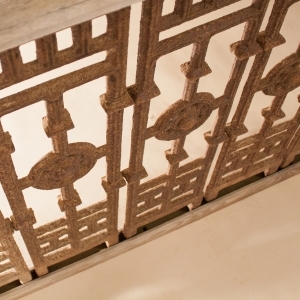 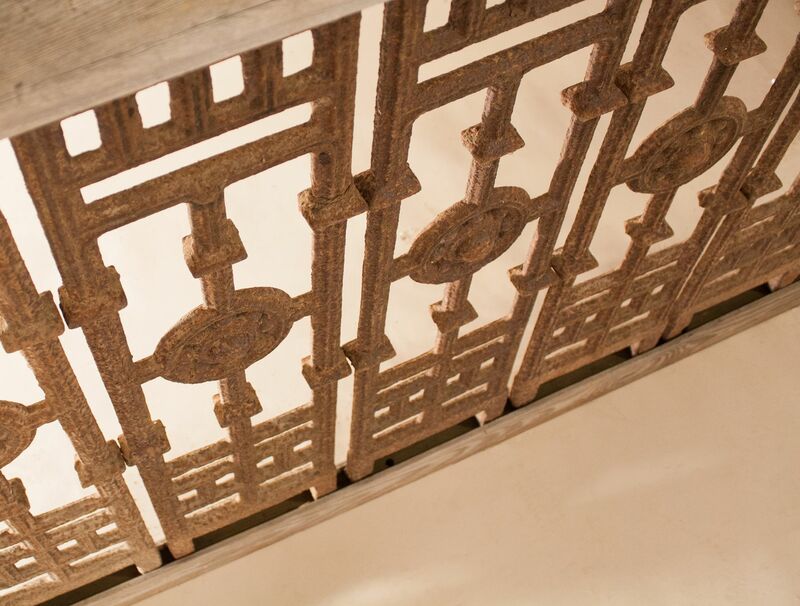 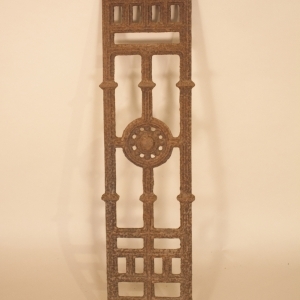 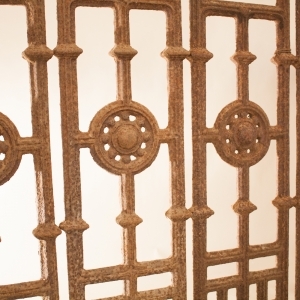 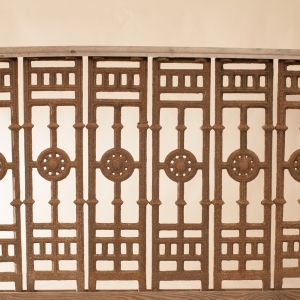 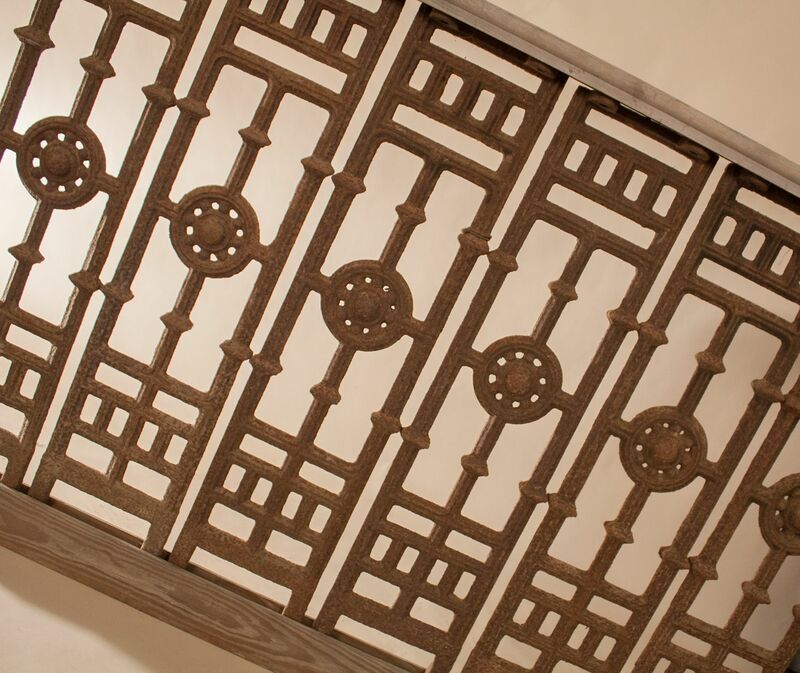 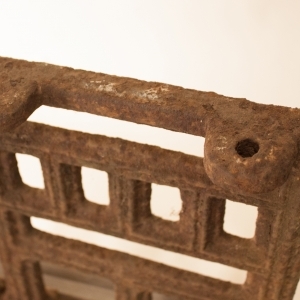 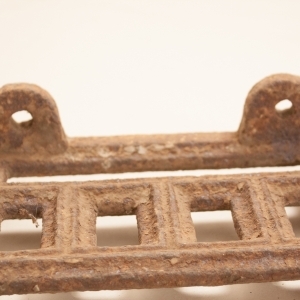 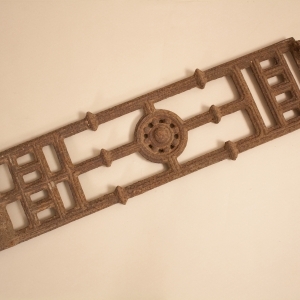 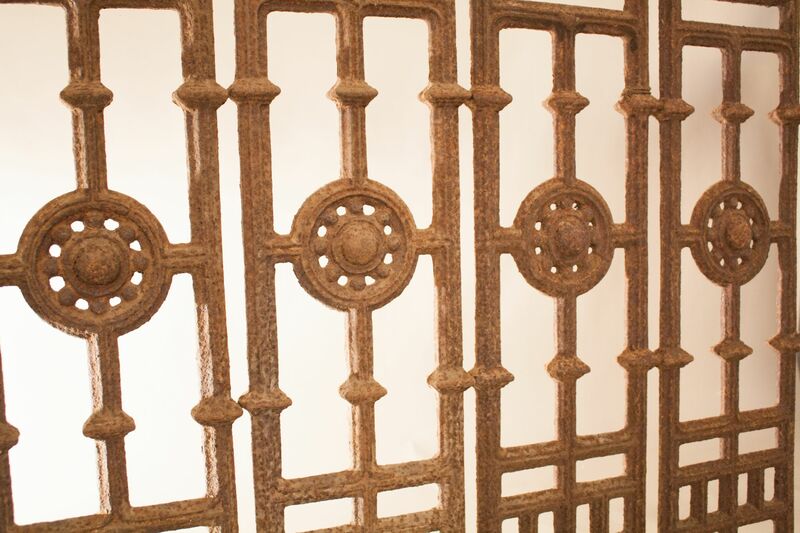 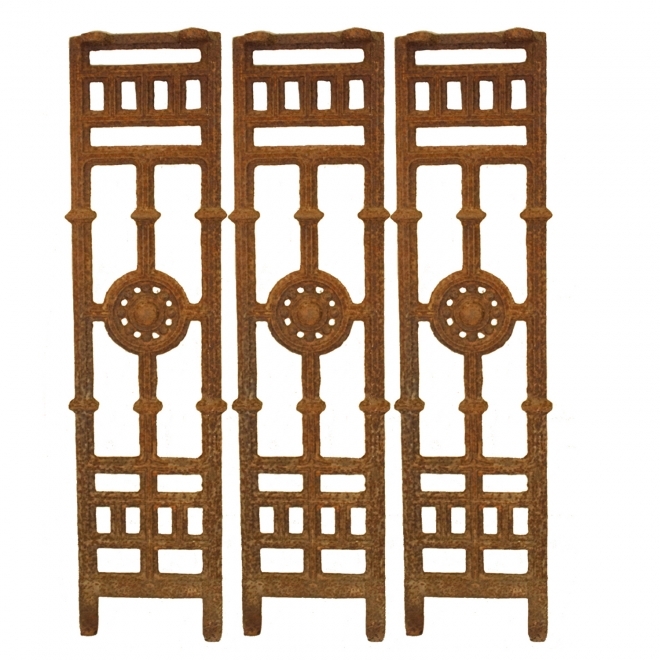 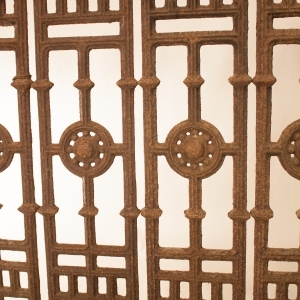 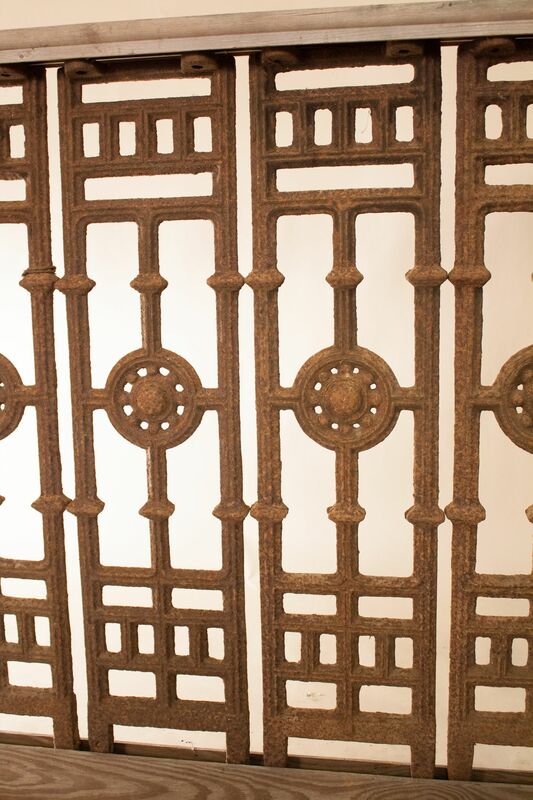 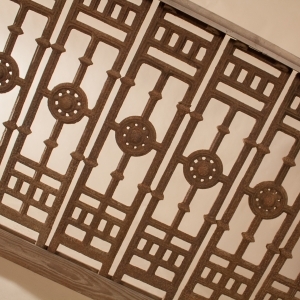 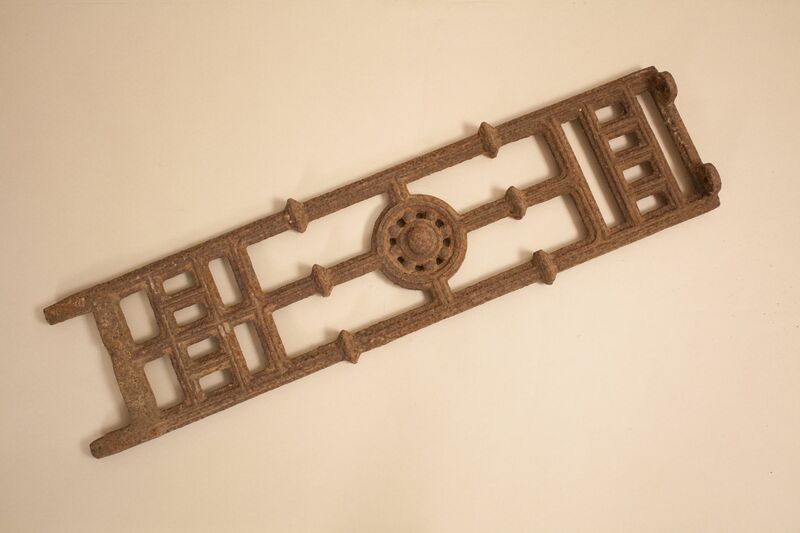 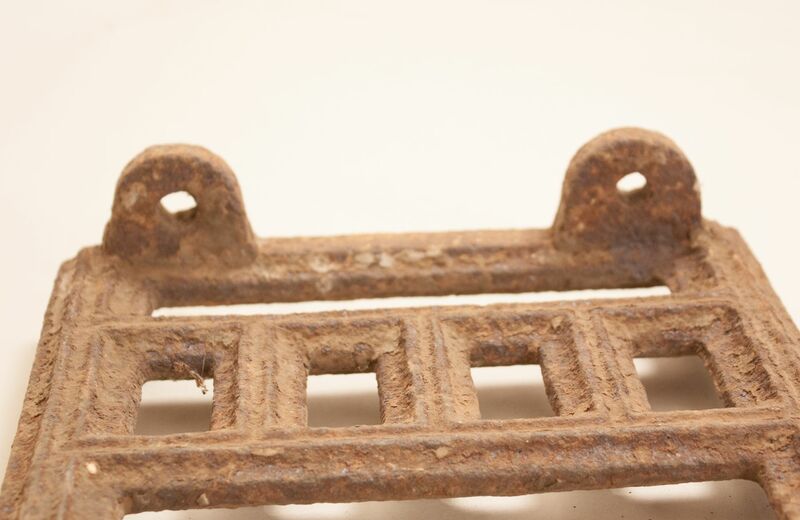 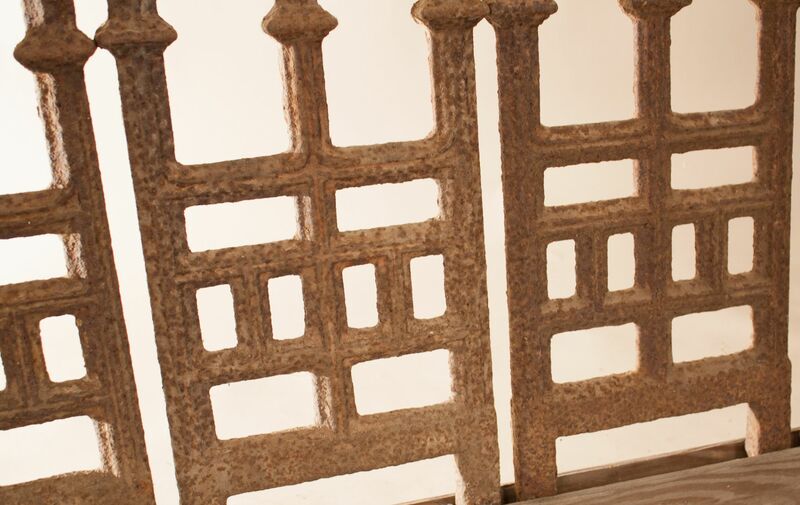 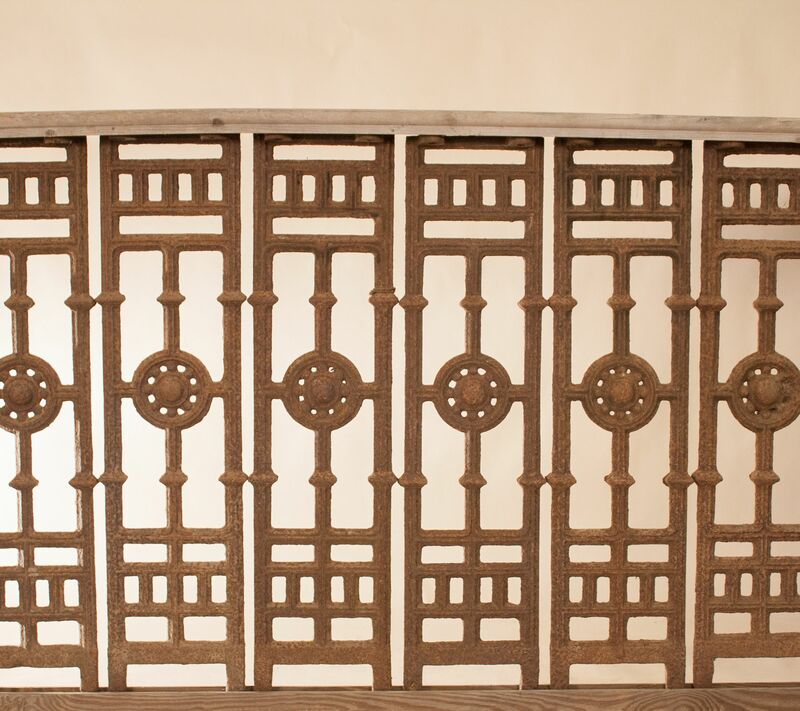 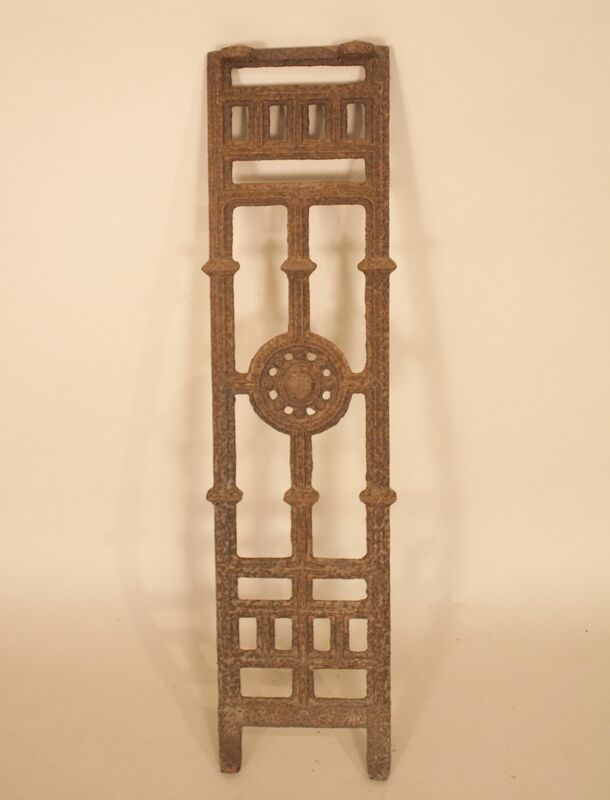 These circa 1850 iron grilles likely stood like soldiers bordering the balcony of a haveli, or mansion, in British India. 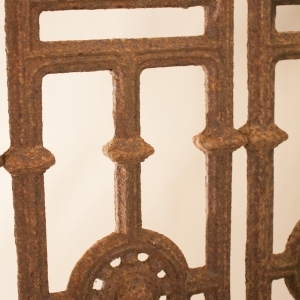 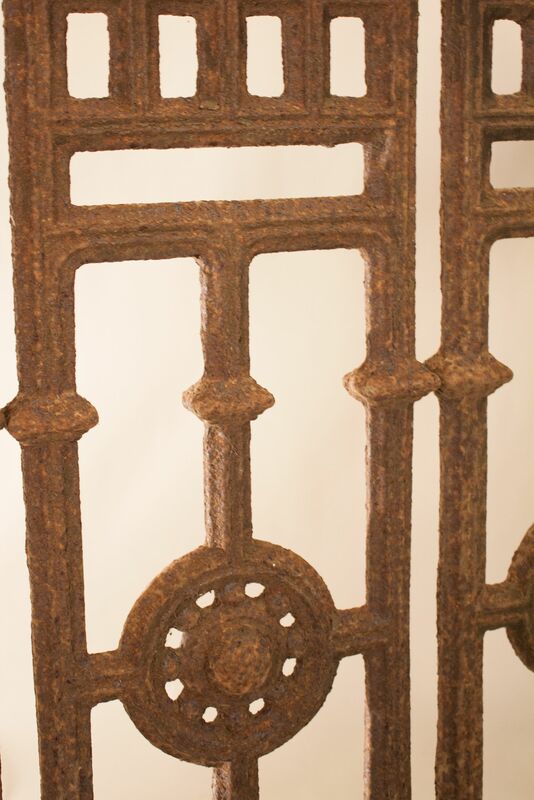 The balusters have wonderful patina, with different rust tones and hints of old paint. 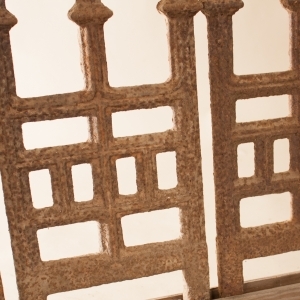 A total quantity of 45 are available for use in the construction of a balustrade for a balcony, terrace, garden fence, or foot bridge.